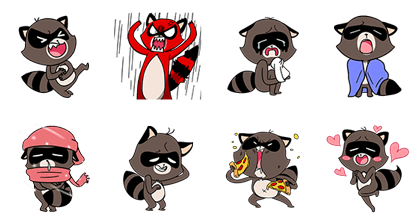 http://www.line-stickers.com/ – Reno Raccoon Line Sticker | Meet Reno, the roguishly lovable raccoon, in this sweet sticker set. A raccoon of few words but many expressions, Reno is here to rally with you and your LINE buddies! 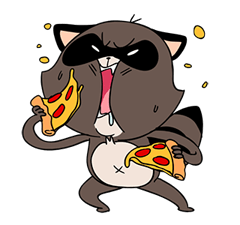 Available till March 8, 2015. Animated Shopping Panda ASUS: ZenFone Docomodake + Animated Misawa Homes × Miffy: Happy 50th!